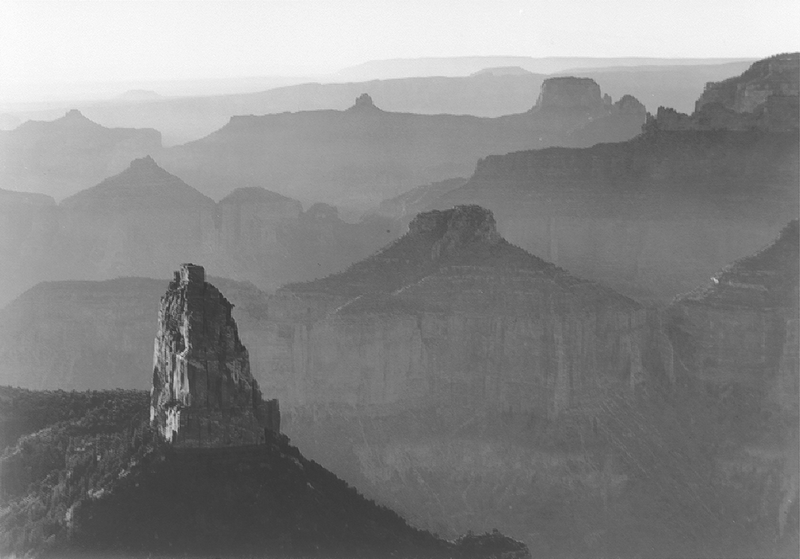 Grand Canyon National Park – Ansel Adams. Part of the Ansel Adams collection at the National Archives. When we think of photography books, we first think of the hard bound copies of the works of our favorite photographers. It is the pages and pages of images that come to mind because of the way they draw us in. Delving into a photographer’s body of work can be inspiring, can make us think of new ideas, and can transport us into the way that someone else sees the world. Books on photographic theory, and biographies about photographers, provide us with a different insight. We can learn about the approach another photographer takes, or we can appreciate their work in reference to the circumstances of their life. A few weeks ago local photographer Joshua Yospyn posted a Suggested Reading List on his blog. The twenty-six works that he chose were either theory based or biographical. They range from Susan Sontag’s popular “On Photography” to Timothy Egan’s biography of Edward Curtis. We asked Yospyn about his selections, and he gave us a great analysis of one of the books, “Ansel Adams: An Autobiography.” Yospyn’s passion for the book, and thoughts on Adam’s life, are a great introduction to his list.